Park the Car and Enjoy Portland! Getting to and from your vacation destination is one thing, but getting around town without a car — especially if you use a wheelchair — can throw a wrench into even the best laid plans. That is, unless your vacation destination is Portland, Oregon, where accessible and affordable public transportation is abundant and easy to use. So get ready to park your car and enjoy the tourist hot spots on your next visit to The City of Roses. Downtown Portland is easy to get around, with wide sidewalks, plentiful curb-cuts and a fairly level terrain. 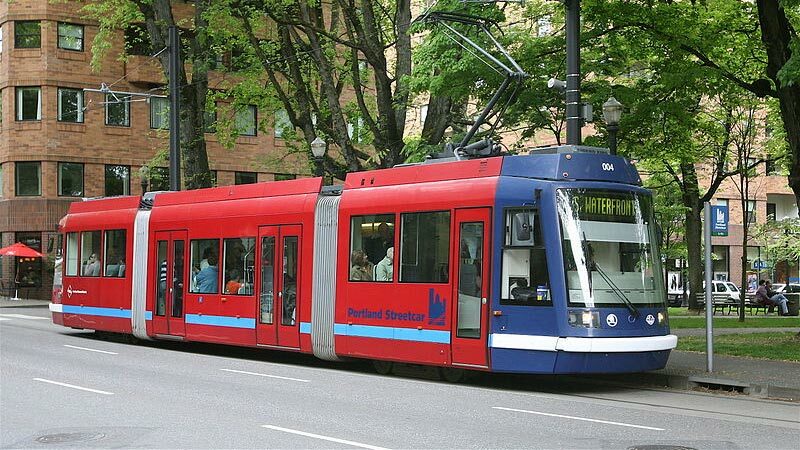 Add in the Portland Streetcar (www.portlandstreetcar.org), which runs through the downtown area and connects to nearby business districts, and you have a very accessible way to see the city highlights. The North – South Line runs from Nob Hill in the north, through the downtown area to the south waterfront; while the A and B loops circle the Lloyd District, Rose Quarter, Pearl District and downtown area. The A Loop runs in a clockwise direction, and the B Loop runs in a counterclockwise direction, so it’s easy to backtrack along the route. Access is excellent on the Portland Streetcar, as every streetcar has has a ramp-equipped entrance. Boarding is a snap — just press the blue button to deploy the ramp, roll into one of the wheelchair-accessible seating areas and lock your brakes. When the streetcar arrives at your stop, push the blue button to deploy the ramp; and if you run into problems or have an emergency, just use the intercom near the accessible seating area. The fare for a 2.5-hour streetcar pass is $2, and seniors and disabled passengers get a 50% discount. And if you purchase a Hop Tri-Met pass, you can ride the streetcar for free. Portland Tri-Met buses (www.trimet.org/bus) run throughout the downtown area and connect with the Portland Streetcar, as well as offer access to outlying Portland neighborhoods. They are ramp or lift-equipped and many can also kneel, which makes boarding much easier for slow walkers. All buses have priority seating for disabled passengers and wheelchair tie-downs; and the drivers are happy to assist passengers — especially tourists. If you need the ramp or lift deployed, and you disability isn’t obvious, just ask the driver. They are also available to help passengers on and off the the lift, and to secure assistive devices in the tie-downs. Although Tri-Met buses still accept cash, the best deal for visitors is the Hop card, which can be picked up and filled at the Tri-Met ticket office in Pioneer Courthouse Square. A 2.5-hour pass on the Hop card costs $2.50, but once you spend $5 a day, the Hop card automatically converts to a day pass; so you never pay more than the day pass rate when you use Hop. 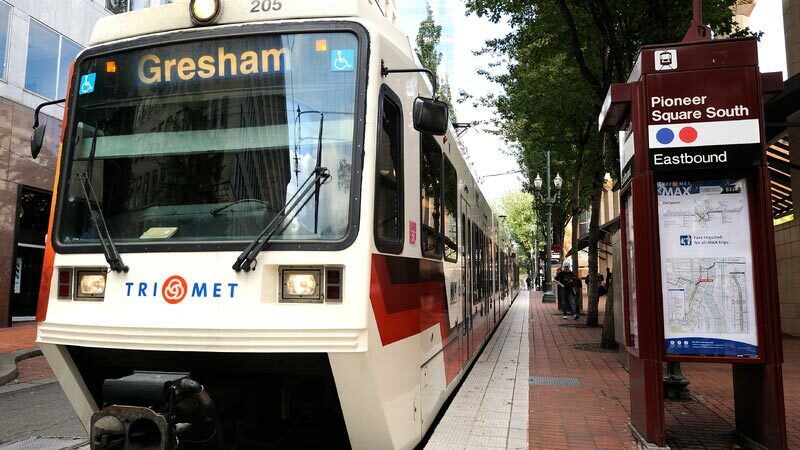 Seniors and disabled passengers get a 50 percent discount, and if you decide to extend your stay in Portland, you can always add more money to your Hop card. Getting to and from the Portland International Airport is easy too, thanks to MAX Rail (trimet.org/max), the city’s light rail system. It also connects downtown Portland with Beaverton, Clackamas, Gresham, Hillsboro, Expo Center and Milwaukie. And the good news is, all the MAX Rail lines are wheelchair-accessible. All MAX Rail trains have accessible boarding areas, which are located in the center of the low floor cars. The conductor will deploy the ramp for wheelchair-users, but slow walkers can also deploy the ramp by pressing the blue button. The accessible cars all have large accessible seating areas, and a ramp request button next to the doors. And like the TriMet buses, the best fare deal for visitors is a Hop card. Finally, if you’d prefer to just grab a cab, then contact Radio Cab (www.radiocab.net) for wheelchair-accessible service. Radio Cab offers 24-hour taxi service in lift-equipped vans, throughout the Portland Area, at standard taxi rates. 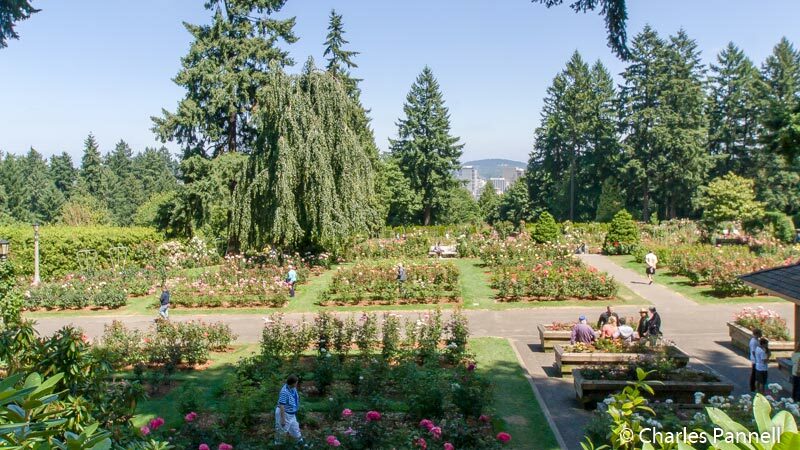 They also offer accessible day tours of the city with stops at Washington Park, the Rose Gardens, the Japanese Gardens and the Columbia River Gorge. Or if you’d like to get out and do a little wine tasting, Radio Cab can put together a wine tour to the Yamhill Valley and Hood River. With your own Radio Cab guide, you can do as little or as much as you want on a personalized Radio Cab tour. For more information, call (503) 205-3311. 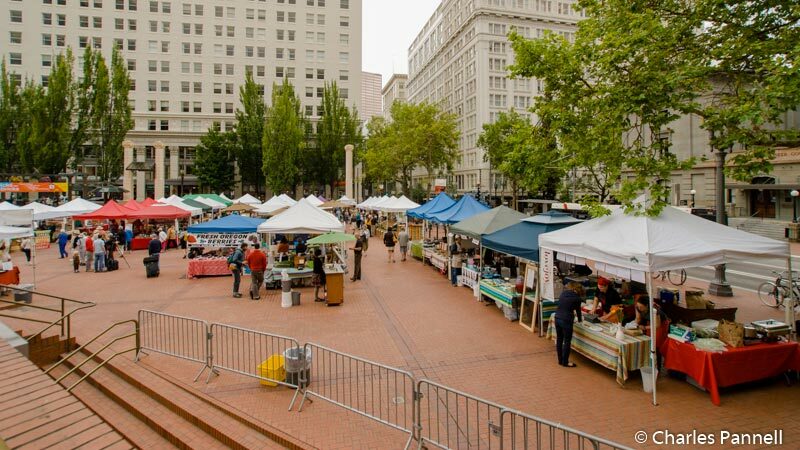 It’s a very accessible way to enjoy all that Portland has to offer.